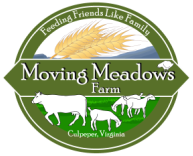 ﻿﻿﻿﻿﻿﻿We reside in Culpeper, Va on Moving Meadows Farm with our children. The sprawling pastures and the mountain views make our home and farm a delightful place to be. Our son James manages the farm with the help of our apprentice, JR. The guys move the animals to fresh grass daily, thus the name "Moving Meadows Farm." 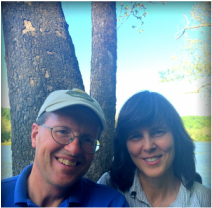 Wally and James are passionate about providing trusted locally grown food to the community. They strive to raise the animals in accordance with how God designed the animals, for example, a cow's stomach was not meant to take on grains! Wally can be found in our Davis Street store tending to the daily operations as well as educating those who are interested in rotational grazing, or other aspects of our natural way of farming.